style and fit decisions can be a huge stumbling block to a contemporary machine knitter. 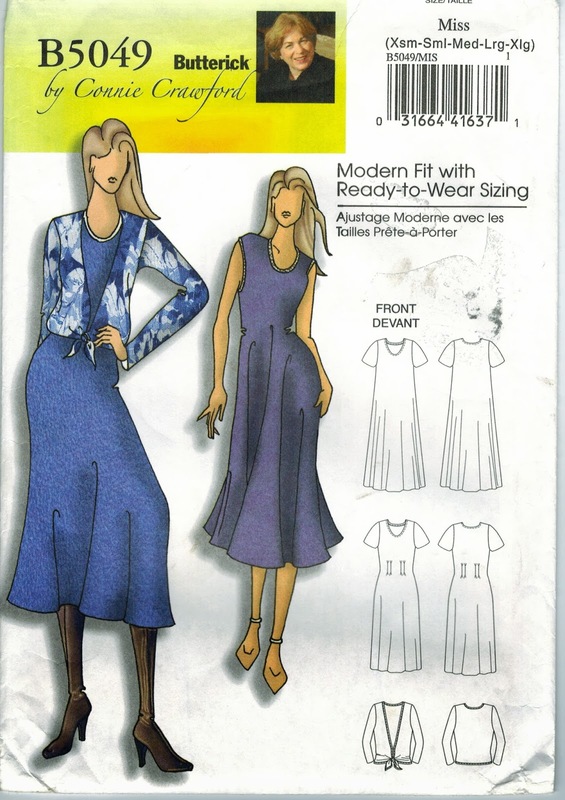 Some of the Vogue patterns of Marcy Tilton have shapes that would translate well into knitted garments. They would show off fancy stitch patterns and textures too. You can also find patterns easily adapted to knitting on the internet, take a look at this take on the wrap with sleeves idea. Happy to use a paper pattern, except you already have a perfect jumper and no pattern for it? Here's a technique you can use to make a pattern without cutting up your garment. In the clip, David Coffin copies a shirt, but we can adapt. i. You can knit pieces in the traditional way – make sure you adjust seam allowances and hems. ii. You can go over to what some would see as the dark side and go the full cut and sew from lengths you have knitted. iii. Or you can take a middle way, knitting parts of your garment approximately to size, and cutting and sewing things like necklines. This works for me. Probably best not to try it on your Show entry. Have a browse through your pattern collection – it may open a whole new knitting vista. This post was originally published in June 2009, in the Moonee Ponds blog, which fell out of use about the same time. great post! browsing through the miyake patterns almost made me cry. he was so advanced and i was so stupid not to pay attention to them then.